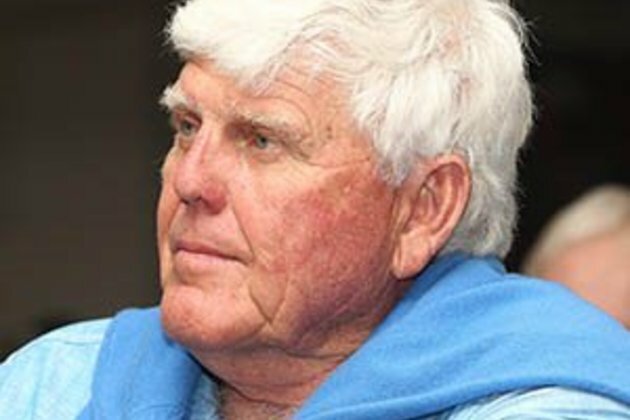 Cape Town - Three South African cricket legends - Barry Richards, Graeme Pollock and Mike Procter - were left in the dark when a planned live interview with them was cancelled at the last minute by SuperSport. According to Netwerk24, the interview was due to take place during the lunch break on Day 2 of the third Test between the Proteas and Pakistan at the Wanderers earlier this month. The interview was scheduled with Mark Nicholas, the well-known English cricket commentator who was on duty during the series. The three former players were waiting in a corporate box at the Wanderers when Nicholas came over 20 minutes before lunch to say the interview was cancelled. The report on the Afrikaans website added that Nicholas was embarrassed and couldn't give reasons why the interview was cancelled. Richards explained that the interview would have been a "generic cricket discussion". "We told Mark that it was important that that we keep the discussion topical and not talk about the past. We therefore would not have ventured into dangerous territory," Richards said. Richards, Pollock and Procter represented South Africa during apartheid and played Tests before the team was banned from international cricket in 1970. The ban lasted until 1991. Richards took to Facebook to express his dissatisfaction with the decision to cancel the interview, asking whether it was SuperSport's intention to embarrass them. Richards' post suggested SuperSport had "brought" the trio to the Wanderers, but Clinton van der Berg, SuperSport's spokesperson, told Sport24 on Monday that the three former cricketers were not flown by the pay channel to attend the Test. Van den Berg added in the Netwerk24 interview that the unpredictable nature of television often leads to interviews being canned. "There was a discussion with Mark and the former players, but it was not relayed to the executive producer. There was later a loose agreement to record an interview in studio, rather than a live broadcast." Van den Berg, however, admitted that Richards' "negative comments" in a Facebook post had played a role in that interview being cancelled as well. Instead of the interview with three of South Africa's greatest ever sportsmen, SuperSport screened a segment on 2018's best moments. Late last year, Richards was also in the news when he said he was hurt by what he described a lack of recognition for his achievements from Cricket South Africa (CSA). In November, the 73-year-old Richards was honoured by former England skipper Graham Gooch, who picked him in his best-ever cricketing XI. "Simply the most graceful and my favourite batsman of all-time," Gooch said of Richards. Richards said he was honoured by Gooch's comments but added: "It however hurts to think that influential people in the game like Gooch, Dennis Lillee and Donald Bradman rate you so highly, but the governing body in your own country, Cricket South Africa, pretend that you don't exist. "Cricket South Africa are the only guys who give no recognition for what we achieved on the cricket field. They view us as pale, male and stale." CSA only take into consideration records achieved since the 1991/92 season when South Africa re-entered the international fray. Richards only played four Tests, scoring 508 runs at an average of 72.57. Pollock and Procter, meanwhile, refrained to comment on the TV interview matter. The 74-year-old Pollock played 23 Tests between 1963 and 1970, scoring 2 256 runs at an average of 60.97. The 72-year-old Procter played seven Tests between 1967 and 1970. He took 41 wickets at an average of 15.02 and scored 226 runs at an average of 25.11.